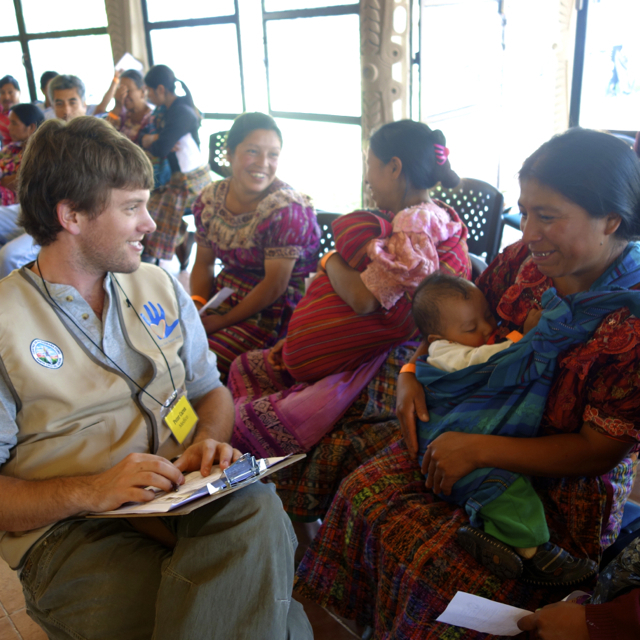 Peter Caron was instrumental in launching GHF’s weekly mobile clinic program to provide much needed healthcare to indigenous communities throughout the district of Quiché, Guatemala. 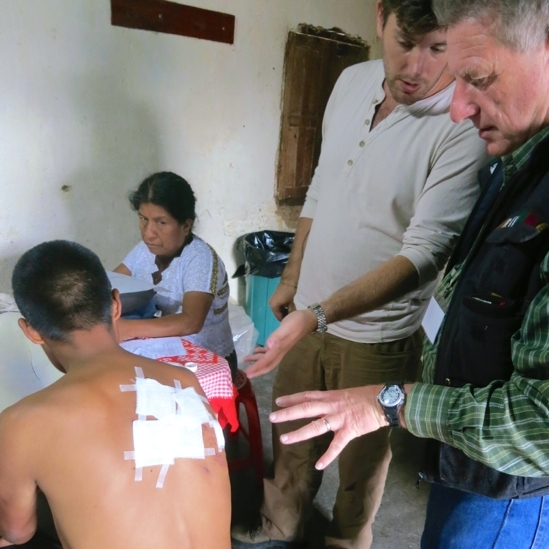 During the two-year period in which he served as GHF’s Central America Program Manager, our mobile clinic team provided comprehensive treatments to nearly 10,000 patients. 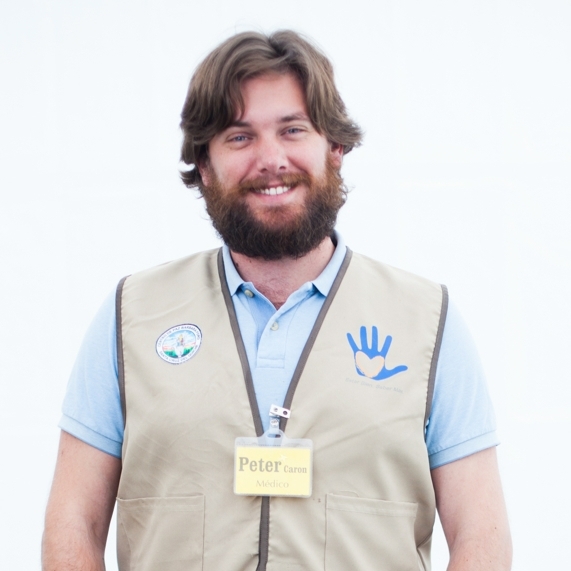 Read all about Peter's story with Global Healthworks Foundation below. The mobile clinic van approaches Mis Años Dorados (My Golden Years), a day center for senior citizens in Santa Cruz del Quiché. Three indigenous Guatemalans and one blue-eyed Californian-turned-New Yorker exit the partially rundown vehicle. The two male Mayans, Juan José Mejía and Lucas Guex, scramble on top of the green van and take down eight treatment tables. Clipboard in hand, Eva Carrillo, clinic logistics coordinator, dashes to find the director of the senior center. The fourth passenger, Peter Caron, walks calmly into the building, his characteristically soft smile growing brighter as one of the center patrons approaches. "Peter has an extremely competent skill set and an amazing ability to engage with patients in an approachable, caring manner." Creating safe spaces in a region that suffers from high rates of poverty and violence is not always easy. 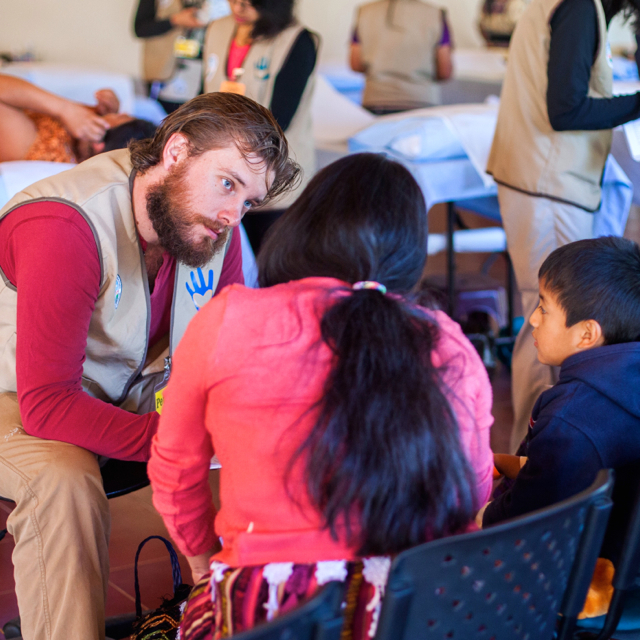 Yet, with skill, love, and a touch of humor, Peter, his team, and their rundown green van, are treating Quiché with an approach that is both gentle yet effective, providing the opportunity for individual healing and community growth.